lover, has been rescuing, rehoming orphaned parrots for 30 years. 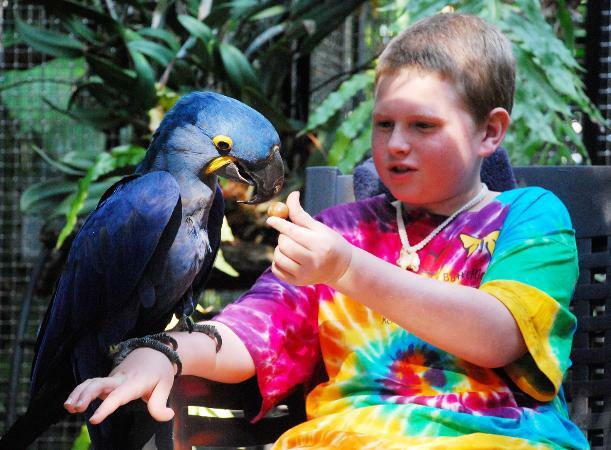 Self-guided Educational displays include each parrots story. Feathers! 100% of the proceeds go to him and his flock!